NOT LESS THAN 23 House of Representatives members under the Peoples Democratic Party (PDP) may soon defect to the ruling All Progressives Congress (APC), it was learnt yesterday. The lawmakers are aggrieved by alleged plans by their state governors to substitute them with “anointed candidates”. The soon-to-be-defectors became uncomfortable with alleged manipulations by the governors in their states to block them from returning to the Green Chamber after the expiration of their tenure next year. A source said the aggrieved lawmakers are set to announce their defection immediately after resumption. 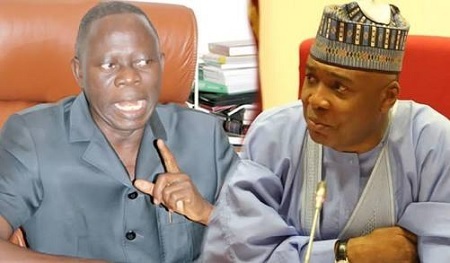 The lawmakers have vowed that though they may not be able to contest as nomination and expression of interest forms have closed in the APC, they would be satisfied with bringing their teeming supporters to the ruling party. The states mostly affected by nomination crises are: Enugu, Ekiti, Anambra and Cross River, Gombe, Benue and Kogi. The source said the handling of nominations in the identified PDP states, was frustrating sitting lawmakers from returning to the parliament. Also, a committee overseeing smooth nomination of all PDP candidates across the states has failed to resolve the crisis. Some affected lawmakers from the Southeast states have also aligned with their angry colleagues, saying they might defect if their governors refuse to change their position. Because of the situation, the lawmakers are allegedly demanding an early resumption against the background of speculated postponement of the resumption to October. “We are insisting that the National Assembly should resume early, to enable us perfect our defection strategy for good,” the source added. Efforts to the reach House Leader Femi Gbajabiamiila to ask if he was aware of the proposed move failed. The Deputy Minority Leader, Chukwuma Oyema, could also not be reached for reactions on the issue.